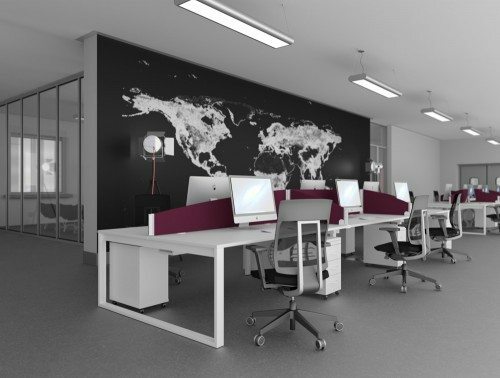 Modular office furniture is the ideal solution when it comes to maximising your workspace. 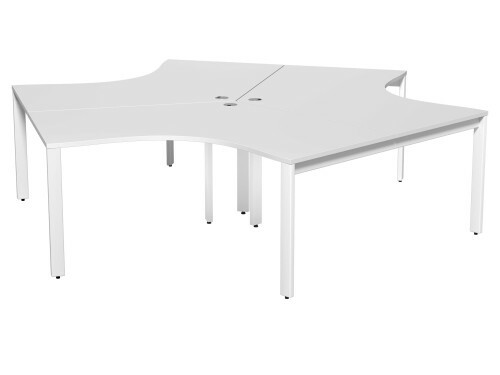 Designed to seat several members without wasting floor-space, modular desks create a pleasant, collaborative working environment. 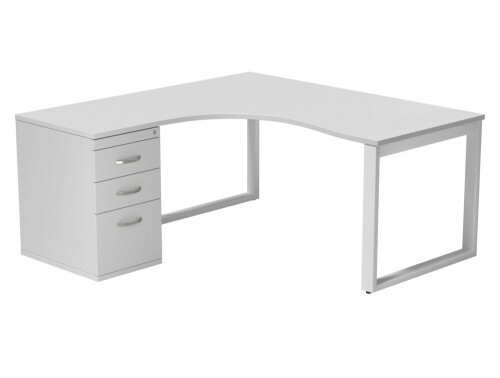 With our extensive range of high-quality bench desks, you can select the ideal finish, size and style for your workplace. 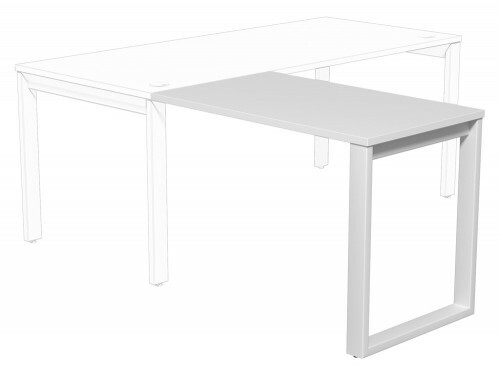 Our desks come in different finishes, from wood to white, black or grey. Our most popular wooden finishes include oak, cedar, beech and cherry. 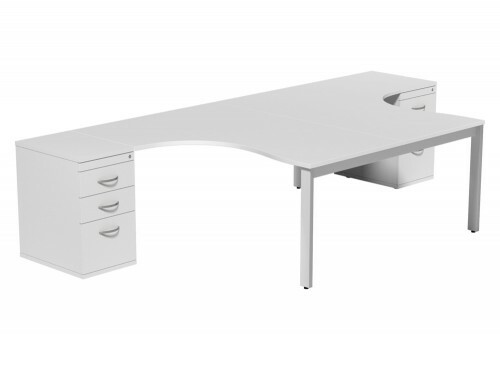 You have plenty of options to create a desk that fits your office design. 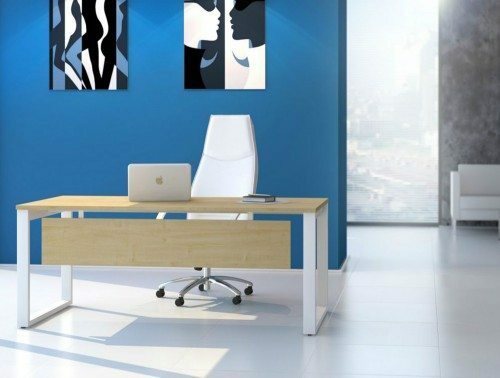 Furthermore, you can customise your desk with modesty panels, desk screens. 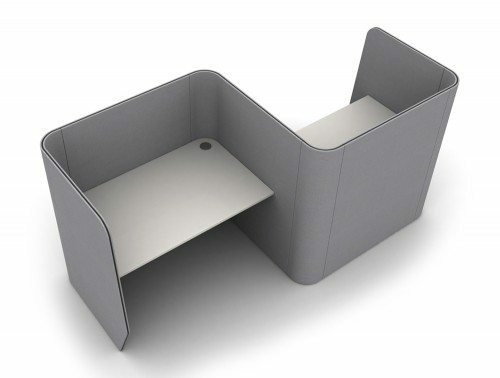 Or if you want an organised desk, CPU holders, portals, cable baskets or cable spines. 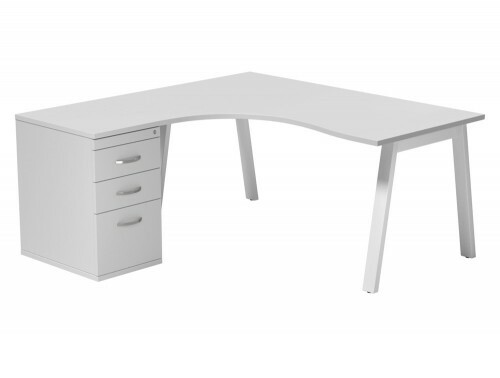 Add adjustable monitor arms and enjoy the benefits they have on your health and posture. 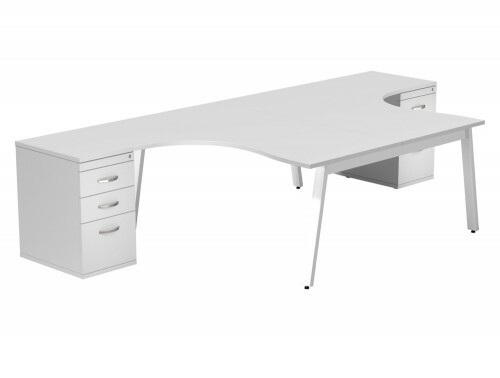 At Radius Office Furniture, our modular office desk systems are varied and versatile. 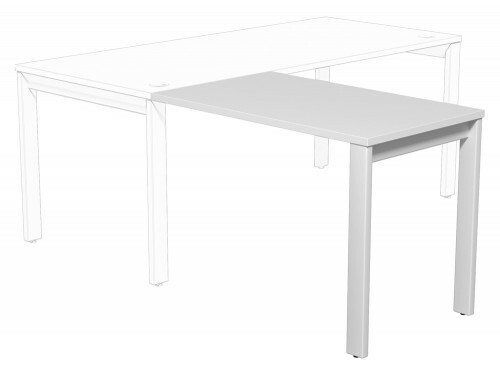 You can opt for a double benching system or for more sizeable clusters. Our desks go beyond the straight desk design and come in circular, wave or radial designs as well. 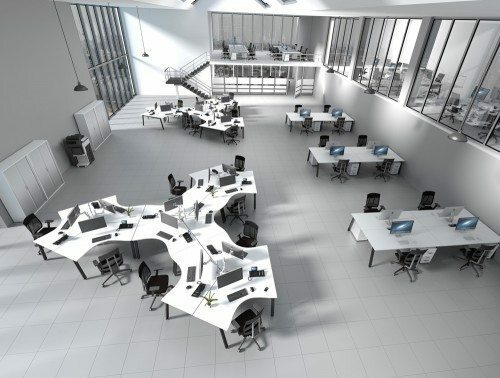 You can opt for a circular benching system that fits 2, 4, 6, 8 or 10-person desks, or choose a simple straight desk design with add-on units that can be used in an infinite number of combinations. No matter your vision, we can offer options that best suit your needs! 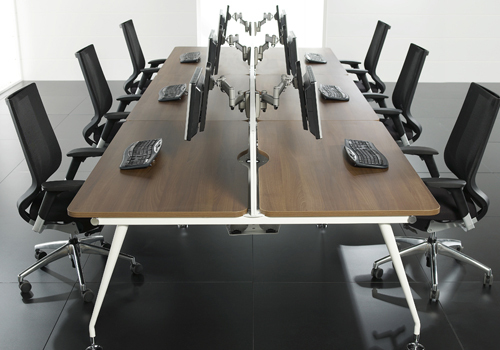 In today’s contemporary office, employers strive to create a collaborative environment. 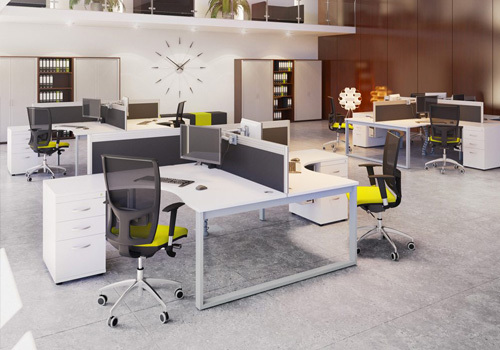 Office benching is a fantastic way of promoting valuable discussion among your employees, while still maintaining personal space. 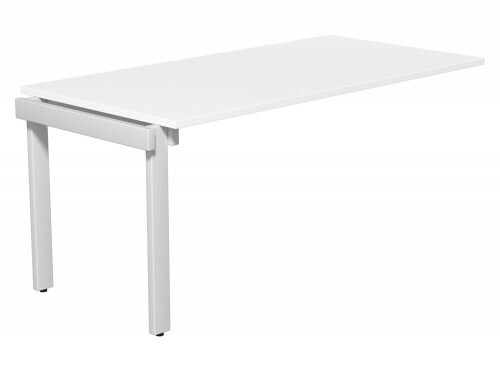 It is also a great way of creating extra floor-space and introducing a better flow to the office. 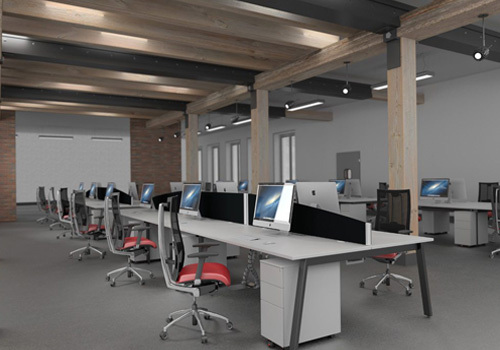 Modular desk systems are perfect if you want to put different departments into clusters and facilitate collaboration and teamwork. Our different designs allow you to create different layouts, from straight to circular. You just need to pick the most suitable one for your staff! One of the main complaints about open offices is that there is very little sense of privacy. 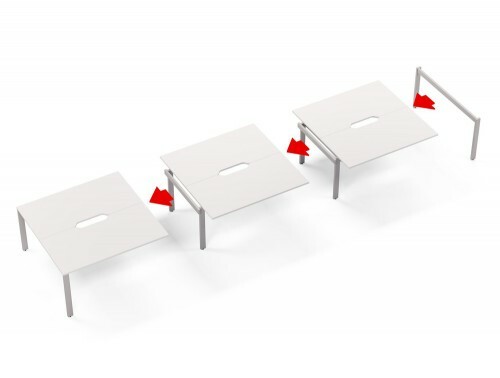 Our range of bench desks provides a solution to this issue! 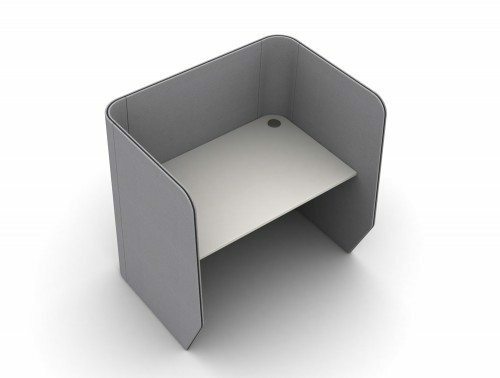 Provide your employees with more privacy by adding our customisable modular desk components, like desk screens and modesty panels. 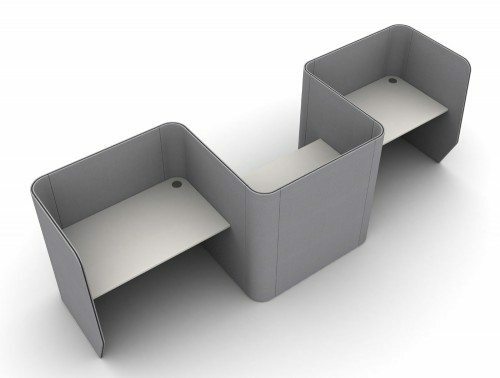 They are perfect for creating a sense of personal space! 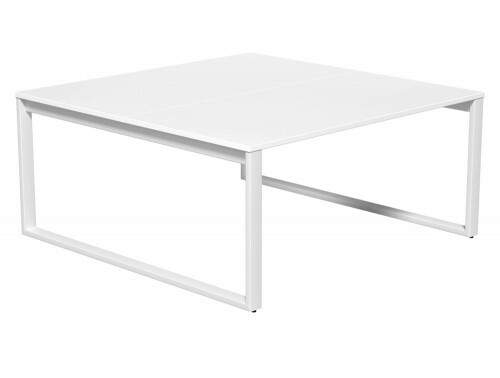 Desk screens are also easily removable which makes them adaptable to both private work and collaborative sessions. However, sometimes privacy is essential in an office environment- particularly if your employees need to make constant phone calls. 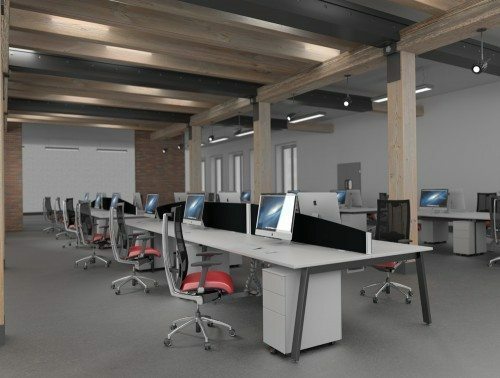 If that’s the case, opt for desking modules for up to 3 people. 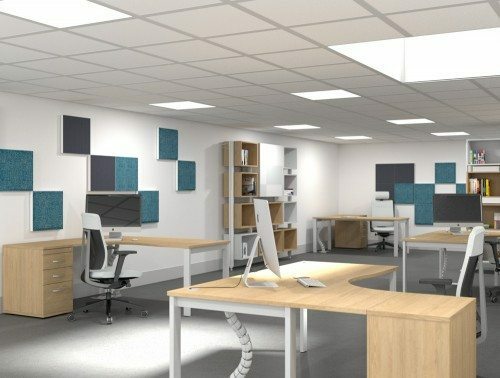 The units are specifically designed to minimise sound travel and create private spaces in an open-plan office. They also have a great contemporary design. 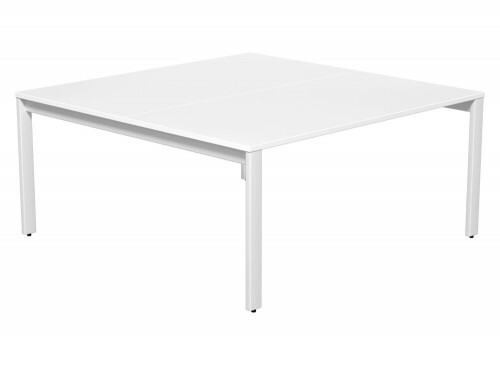 Perfect for getting the best out of a collaborative open office and the privacy of a cubicle. 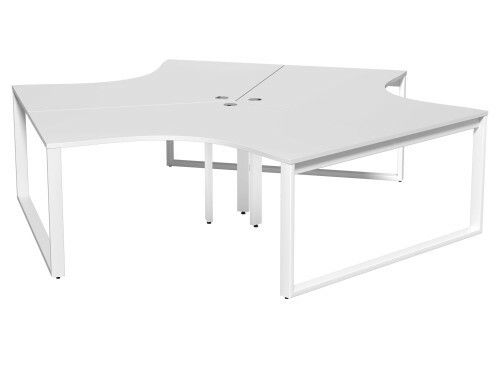 You can customise your desks further by adding cable management systems, CPU holders and monitor arms. 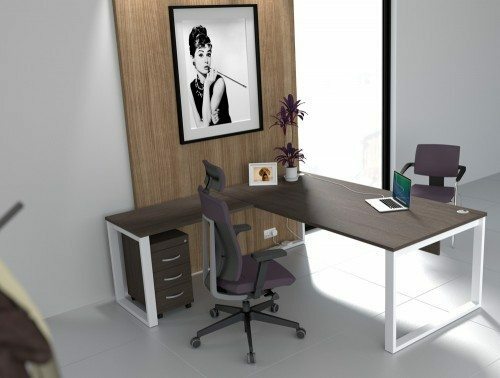 This way you can achieve an organised workstation and a neat office design. 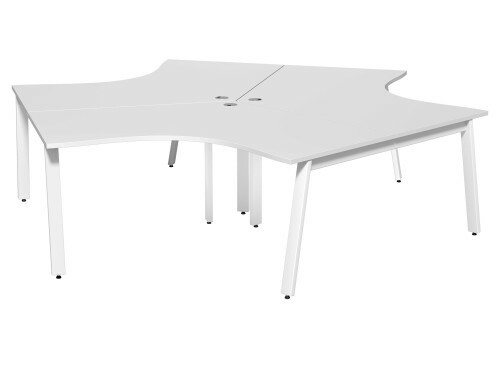 Our modular office desks come in a range of sizes: 1200mm, 1400mm, 1600mm or 1800mm. 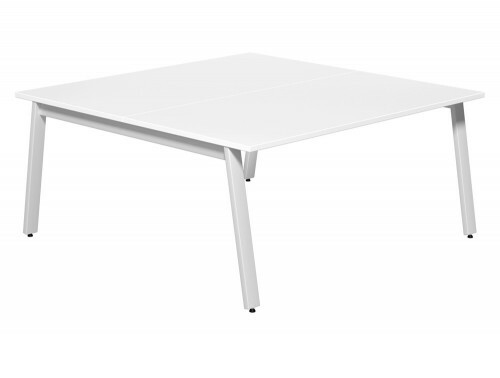 They offer the perfect balance between a maximised work surface with minimal floor space usage. 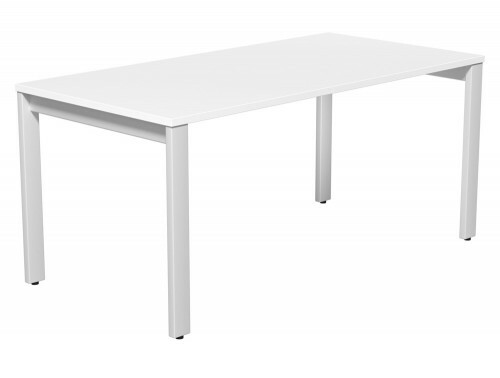 The different work surfaces are adaptable to different needs. 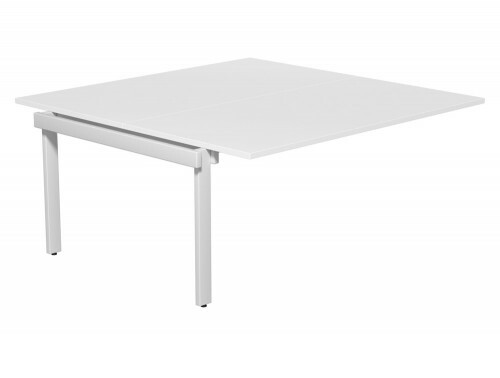 Whether that is using a small laptop for hot-desking, or a more sizeable desktop for a permanent workstation. 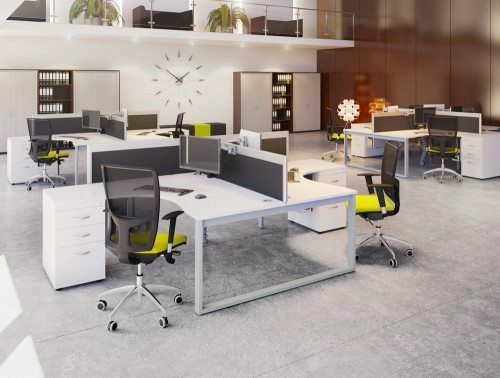 In addition, their durable surfaces are impact-resistant and easy to clean, which makes them perfect for the hustle and bustle of busy office environments. As with all our products, our bench systems are made by true professionals. 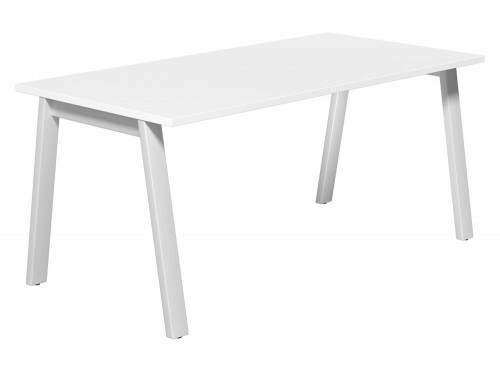 Our main supplier of benching systems is Buronomic. 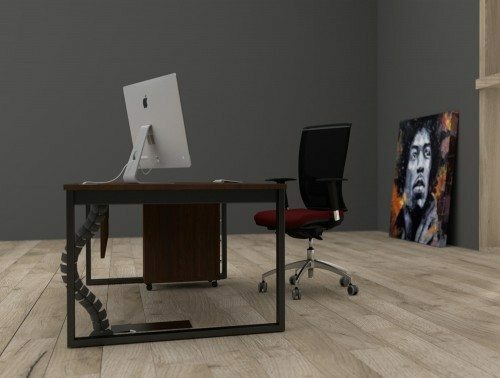 With modern ranges like Switch, Pyramid, Arthur and Vega, you’re guaranteed an office bench system that is durable, practical and stylish. We’ve got a range of used and new bench systems. 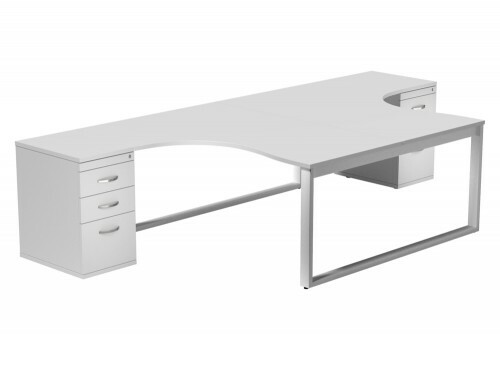 We cater for your budget- from affordable options to more executive, ergonomic styles. 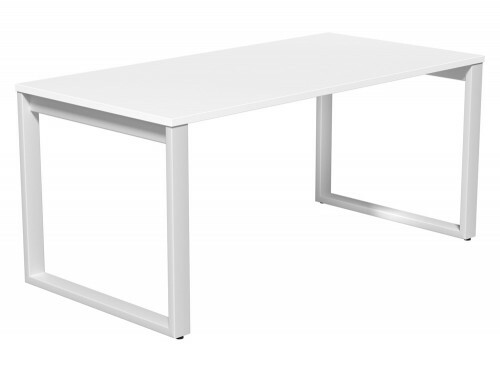 Whether you want a simple 2-person bench system or a modern modular desk with included storage, we have the right products for you. Systems or discuss your requirements, simply request a callback.